By now every digital marketer worth their salt knows the importance of data in creating a great customer journey. But as businesses accumulate more and more data, the question turns from ‘How do we get it?’ to ‘What do we do with it?’ Let’s look at what the future of big data holds; for marketers and businesses. In the information rich markets of the future, historic data will fuel innovation in predictive analytics. Businesses and marketers can utilise modelling software to generate future growth patterns, conversions and user behaviour. Predictive modelling hopes to take the grunt work out of data aggregation, giving businesses greater freedom to create more personalised journeys for customers across multiple marketing channels. Freeing up analytics from the domain of data scientists remains a challenge for software firms – big and small. SaaS provides a great platform for data collection, but integrating smart apps and APIs that track the relevant data points will require human ingenuity and creative problem solving. In our rapidly approaching big data future, businesses will look to up-skill existing staff with tools and training to meet the shortage of data scientists in the workforce, empowering non-engineers to engage with data in a meaningful way. This will be especially pronounced through the next generational shift, as Millennials with lifelong exposure to data and the digital marketplace become comfortable using smart apps to facilitate their workflows. That doesn’t mean data scientist roles are obsolete. Data officers will find their niche at executive level positions and high performance data agencies. CDOs will become prominent at enterprise level organisations, taking a spot at the executive table to work hand in hand with the CMO and CIO. Aeronautics and Logistics are among the industries already engaged in near real time data solutions. As the Internet of Things grows from 8 billion to 50 billion connected devices the use of sensors and data points offers businesses the opportunity to analyse and troubleshoot faults and conflicts in near real time. Real time analysis will help marketers maximize their CX. A combination of smart marketing and sound data science will unlock better customer journeys across a range of web facing and traditional markets. We are already seeing a flurry of activity in the UX / UI space as brands look to optimise customer acquisition and retention using data driven metrics like on page heat mapping. With big data providing analysis at volume, the potential to both optimize and tailor customer experiences will grow exponentially. Insights into customer behaviour through data science will drive more human-centric and creative design. Programmatic advertising and automated reporting frees up marketers, creatives and executives to think and strategise at a higher level about what it means for users to enjoy a great onsite experience. Through big data, an ecommerce platform can offer coupons based on user habits. Big data could also manage risk portfolios and better detect fraud. Removing the need for human labour frees up resources to focus on engaging CX and driving innovation at a creative level across all divisions. Big data might be the future, but we’re already seeing new technologies that could push BD out of the picture. Smart marketers and CMOs would be wise to keep an eye on these two new frameworks. 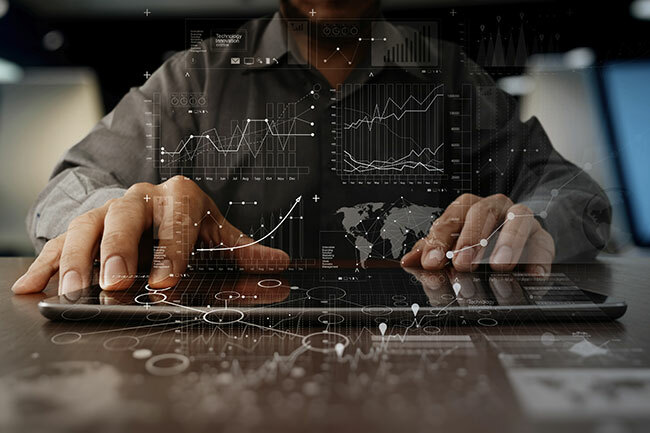 As tools for understanding big data become more refined and user friendly, fast data will synthesize key data points to provide quicker insights. Big data will still be there in the background, but fortune will favour the teams that bring together creative and analytical minds with the right software and strategy. A business friendly term for artificial intelligence that can perform tasks usually only reserved for humans, cognitive technology potentially represents a massive paradigm shift in the way we do business. Powered by big data, CT might be what lies beyond the data driven horizon. How will big data affect your customer’s journey? As mass data accumulation becomes undeniable, what will you utilise when it comes to information about your clients, and more importantly, potential clients? Information rich markets will utilise predictive modeling, taking the grunt work out of data aggregation, so think about how your company will create more personalised journeys for customers across multiple marketing channels.